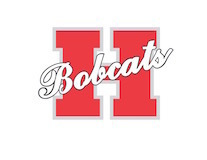 HOPE – An active shooter incident on the consolidated campus of the Prescott School District early Monday precipitated a lockdown of campuses in the Hope Public School District, which HPS Superintendent Dr. Bobby Hart said was successful and smooth. Dr. Hart expressed the solidarity of the Hope Public Schools with counterparts in Prescott. He also expressed confidence after a debriefing of district staff and campus principals conducted Monday afternoon as a result of the HPS lockdown. Hart emphasized the continued support of the HPSD for those affected in Prescott. “Again, we offer our help to the Prescott School District and all of the families involved,” he said.